After months and months ofwaiting, one of the biggest updates in the history of Clashof Clans has been released in the December 2015 update. Let’s take a look at the changes. Shields – Sadly for many of the farmers out there, Supercell has done away with the “free shield.” As noted in our base design article, many farmers would leave their Town Hall outside their base in an attempt to gain a free 12-hour shield. This is no longer the case. In order to obtain a shield, your base must be 30% destroyed AND the attack must have deployed at least 50% of their troops. To balance the changes to shields, Supercell also introduced changes to losing your shield. Before when you attacked a base, you lost your entire shield. With the update, attacking while shielded will merely reduce the amount of shield time you have. For your first attack, you will lose 3 hours of shield. Each additional attack will result in slightly more shield lost. Your next attacks will cost you 4, 5, 6, 8, 10, and 12 hours respectively. Village Guard – In addition to changes to the shield system, Supercell also introduced the “village guard.” This feature is a short-term shield, usually 15 minutes, so each chief can re-arm all traps after an attack. Village guard is an extension of the shield and varies by what league you are in. Titan I and Legend = 3 hours. Unlike a shield, if you attack during village guard protection, you do not lose that protection. League Loot Bonus – Supercell has made changes to the loot bonus structure for leagues. Instead of winning 100% of the loot bonus for 1 star, it has now changed to a prorated amount of loot based on the percentage ofdamage you’ve achieved. At 50% village destruction, you will receive 80% of the league loot bonus. To receive 100% of the loot bonus, you must destroy 80% of the village. Supercell also increased the amounts of each league bonus to help offset the lesser loot bonuses awarded. Reduced Boost Cost (and time) – Previously it cost each chief 10 gems to boost production (x4) on their barracks, heroes, and spell factory for 2 hours. Supercell has changed the cost to 5 gems for 1 hour of boost time. This is a great change for those who only have an hour to boost and makes boosting sessions much more doable for less frequent players. War Prep Time Reduced – Previously war preparation days and war days each lasted 24 hours. This presented a problem for clans who like to war at the same time every day. Each war resulted in a slightly later war start time (after searching for a new war match up). Supercell has reduced the war prep time to 23 hours to allow clans to continuously war at or around the same time each war. Reduced Trap Re-arm Costs – Because of the new shield system and elimination of “free shields” from town hall sniping, Supercell has reduced the re-arming cost for traps significantly. Re-arm costs will depend on the level of your traps, but will make being attacked a little more tolerable. 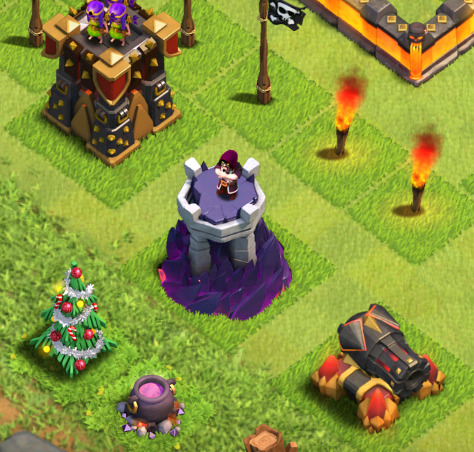 Town Hall and Clan Castle are now storages – One of the more subtle but important updates is that Town Halls and Clan Castles are now viewed as “storage” buildings to attackers. This means that goblins will now target both buildings (damage x 2). Because of this update, it’s even more important to protect your town hall as it will hold 1/5 of all your resources. Freeze Spell for Town Hall 9 – The freeze is now available for Spell Factory Level 4 (available at Town Hall 9). Town Hall 9 players will still have the same amount of space for spells (enough for 4 regular spells), but will gain the ability to attack Town Hall 10 villages that have inferno towers. Ability to Donate Dark Spells – Also included in the update to spells is the ability to donate dark spells for players with a Level 4 Clan Capacity (25 troop capacity available at Town Hall 8). Players within a clan can donate up to 1 poison, quake, or haste (not available at Town Hall 8) to their fellow clan members. Spells will act similar to troops with respect to clan perks auto-upgrades. 1 x Grand Warden (hero discussed below). 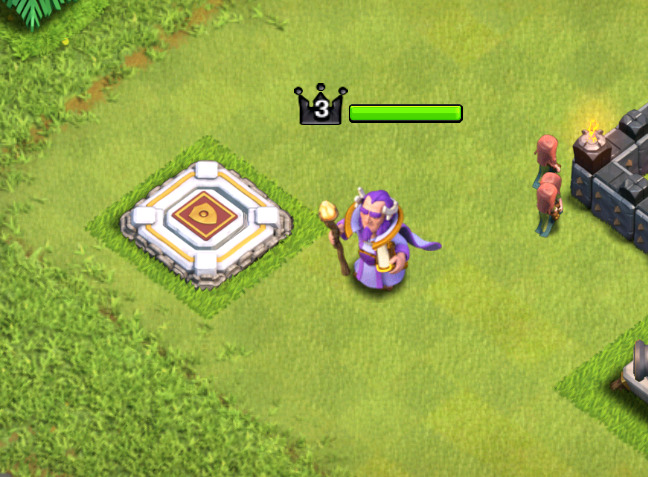 Wizard Tower Level 9 – Beyond the additional defenses unlocked at Town Hall 11, Supercell has introduced level 9 Wizard Tower. This update costs 8.56M gold, takes 12 days to upgrade, and increases damage to 56 damage per second (DPS). Eagle Artillery – Probably the most significant update to the game since inferno towers at Town Hall 10 is the Eagle Artillery. This massive defense has a range nearly the entire map and deals out an incredible 250 DPS at level 1. The eagle artillery will only engage once 50% of an attackers troops are deployed. Once engaged, the eagle artillery fires consecutive shots (in bursts of 3) to deal shockwave damage to troops. The eagle artillery’s main weakness, similar to a mortar, is an inner range close to the defense where it can’t attack. The initial cost for level 1 is 8M gold (10M for level 2) and is a 10 day build (14 day for level 2). Grand Warden – With the update, Supercell finally introduced what most clashers had been hoping for: another hero. The Grand Warden functions most similarly to a healer in that he follows behind (either ground or air) friendly troops to regenerate their health through his aura. The Grand Warden also deals damage to enemy defenses through a single shot from his wand. 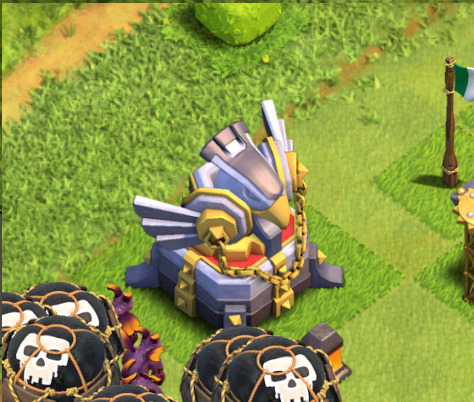 When on defense, the Grand Warden turns into a status on his altar to continue to deliver health to damaged buildings. At level 5, the Grand Warden unlocks his ability which is complete immunity for troops within his aura range. 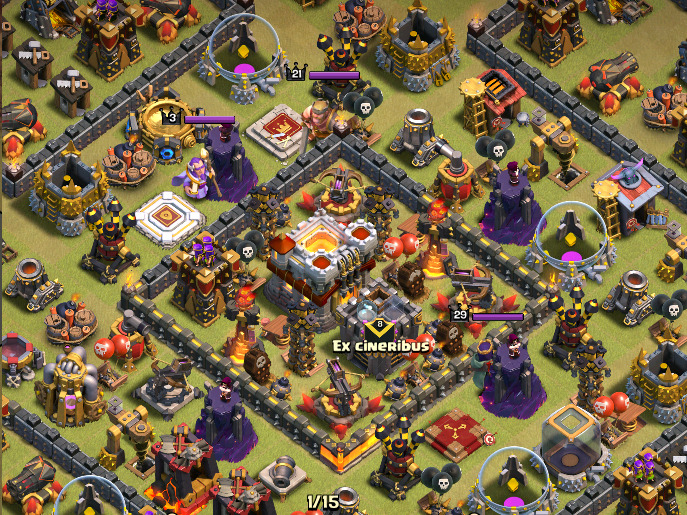 Laboratory Level 9 – This update also gives Town Hall 11 chiefs Laboratory Level 9. This upgrade to the lab unlocks two new troops: Witch Level 3 & Minions Level 7. 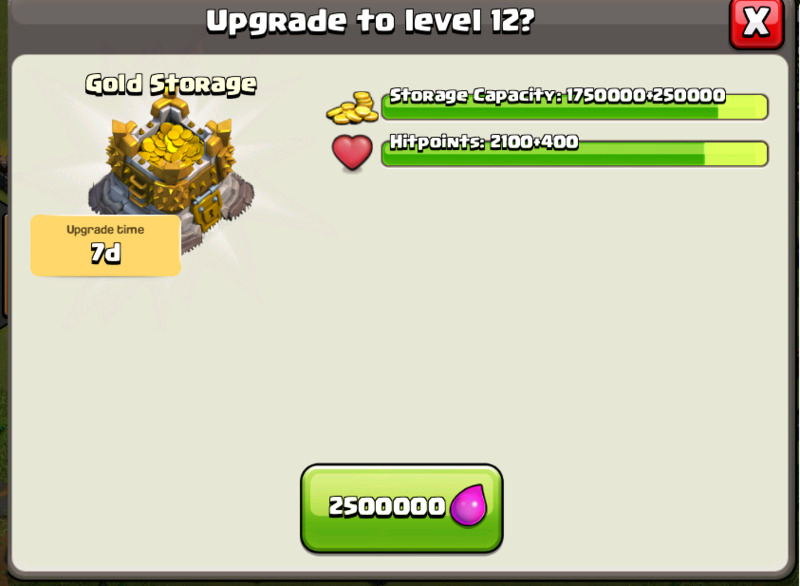 Storage Level 12 – Also included with Town Hall 11 is an additional levelof storage for gold and elixir. Level 12 storage increases capacity by 500k for each storage (for a total of 2M for 4 storages) at a cost of 2.5M per storage. The upgrade also increases the hit point for each storage by 400 to 2500 total hit points. Previous Winter super boost ends tomorrow!